SRM University AP welcomes Dr. Kerry Healey, president of Babson College, on its Board of Governors (BOG). Dr. Healey is a widely respected academic leader and under her stewardship, Babson has strengthened its reputation and position as the recognised global leader in entrepreneurship education, consistently ranked as the top school in its category. The Board of Governors at SRM University AP has an illustrious academic line-up, comprising of Professor Nicholas Dirks, chancellor emeritus, UC Berkley, Prof. Bertil Anderson, president emeritus, Nanyang Technological University, Prof. Prasant Mohapatra, vice chancellor for research & professor of computer science, University of California, Elizabeth Bradley, president, Vassar College, Pradeep Khosla, chancellor, UC San Diego, Damodar Acharya, former director, IIT Kharagpur, and Dr. Kerry Healey, president, Babson College. Welcoming her on-board, Dr. Jamshed Bharucha said, “It is a privilege to have Dr. Kerry Healey on the SRM AP Board of Governors. She has over three decades of experience in academia, government and humanitarian aid. We welcome her to SRM AP and are sure that she will help us propel our global education dream in India forward”. 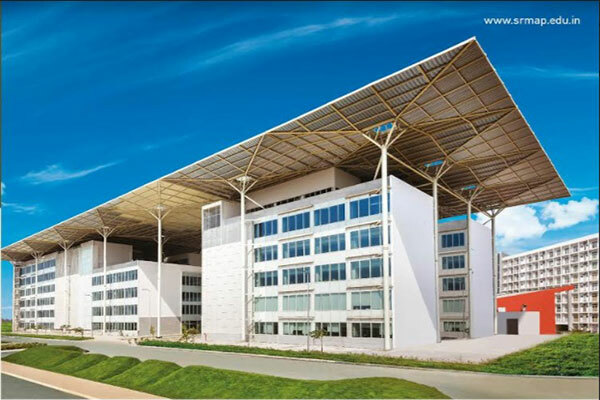 SRM University, AP – Amaravati (Andhra Pradesh) envisions to emerge as a world-class university in creating and disseminating knowledge and providing students a unique learning experience in their chosen field of scholarship that would best serve the society. For more information, please visit www.srmap.edu.in.